The Xbox One Stereo Headset Adapter lets you plug a compatible chat or stereo headset into the Xbox One Controller so that you can control your audio experience without taking your hands off the controller. 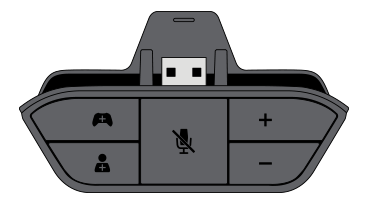 Follow the steps at Update your Xbox One Controller to make sure that your controller is ready to work with the Stereo Headset Adapter. An Xbox 360 Wired Headset with a 2.5-mm audio cable. 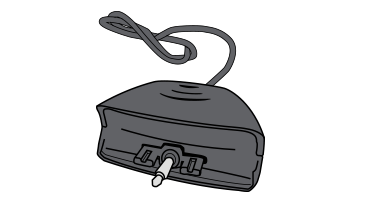 Connect to the Stereo Headset Adaptor by using the 2.5-mm-to-3.5mm adaptor that's included with the Xbox One Stereo Headset Adaptor. 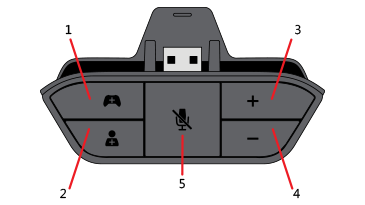 Early editions of the Xbox 360 Headset with the following adaptor will not work due to the design of the connector. Game/Chat balance: These two buttons adjust the mix of game audio versus chat audio. At default, the mix is 50/50, but you can adjust it to anywhere from 100/0 to 0/100. For example, if you want more game volume than chat volume, press the button with the controller icon until you reach the level you want. A tone will sound when you have reached 100 per cent.